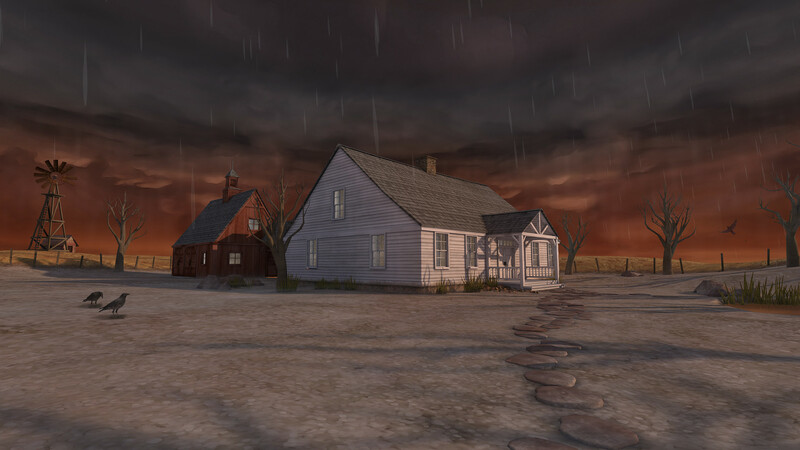 Dead Secret is set in rural Kansas in 1965. The plot unfolds at an excellent pace, with information doled out in a way that makes sense. I liked that it was confined to one house, because you’re never wondering what you might be missing or where to go next. It reminded me very strongly of The 7th Guest in terms of performing actions that allow you to explore more of the house. I don’t want to say anything about the overall plot because it’s a mystery, but when you first walk into the house it’s very much like Clue – there are four suspects, and you have to figure out who dunnit. There are some rather unbelievable aspects to the story that can make it a little bizarre and made me go, “really?” at some points, but since the murder is the main thing you’re supposed to focus on, I just considered those MacGuffins. Really weird MacGuffins. A note: in order to change the graphic settings in the Steam version, you have to hold the shift key when you click play so that you get the Unity options. I don’t know if this is a side effect of VR or what, but thanks to the Steam forums I figured that out and was able to crank up the quality. It looks quite good, with creepy lighting and some really nice detail. It’s a stylish game, and I liked that the text that comes up when you investigate hovers over the environment (which I think is definitely a side effect of designing with VR in mind). One detail I really liked was that turning on hot water taps made steam! Such a nice touch. The music is excellent and atmospheric, and there are certain parts where it ratchets up the tension a LOT. Unfortunately, the only voice work is the main character’s, and her voice acting is incredibly stiff and unrealistic. It took me out of the game every time she spoke. If the voice actress was replaced, or re-recorded her dialogue, I think it would help a lot. You can play the entire game with just your mouse. Left clicking moves you around the house and interacts with things, and right clicking brings up your inventory. You automatically take notes as you learn things, and your inventory will fill up with the letters, documents, and newspapers you find throughout the house in case you want to consult them again. 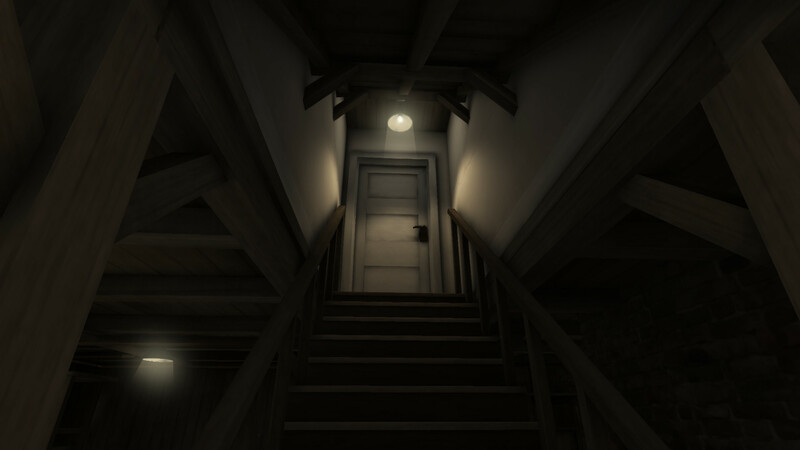 There are a few jump scares, but not so many that they became ineffective, and the whole game doesn’t rely on them. What I most appreciated about the gameplay was that every puzzle made logical sense – there’s no weirdness at play here, no cat mustache puzzles. It was refreshing. There are a few times when you need to hide from an entity, which are also the times you can die, but the game is forgiving and lets you try until you get it right. There are five Steam achievements, and each one corresponds to finding a different ending. 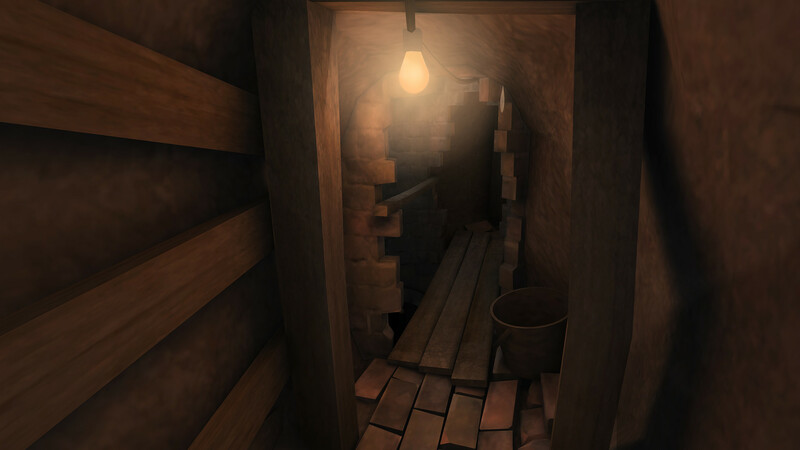 It took me two hours to fully complete the game – I found all five endings and explored the house thoroughly. 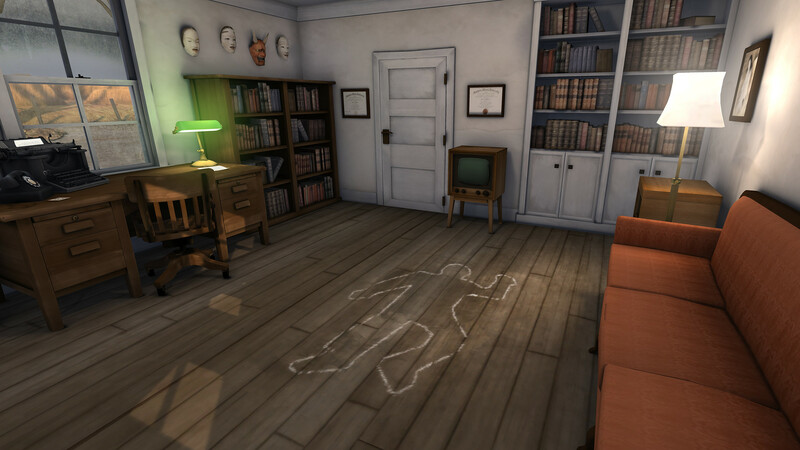 Dead Secret is a thoroughly entertaining horror adventure mystery that had me on the edge of my seat. Get this if you’re a fan of any of those genres. I think this would be a very cool VR experience too! You can get Dead Secret on Steam for $14.99. Follow the game on Facebook, Twitter, YouTube, and the official site.